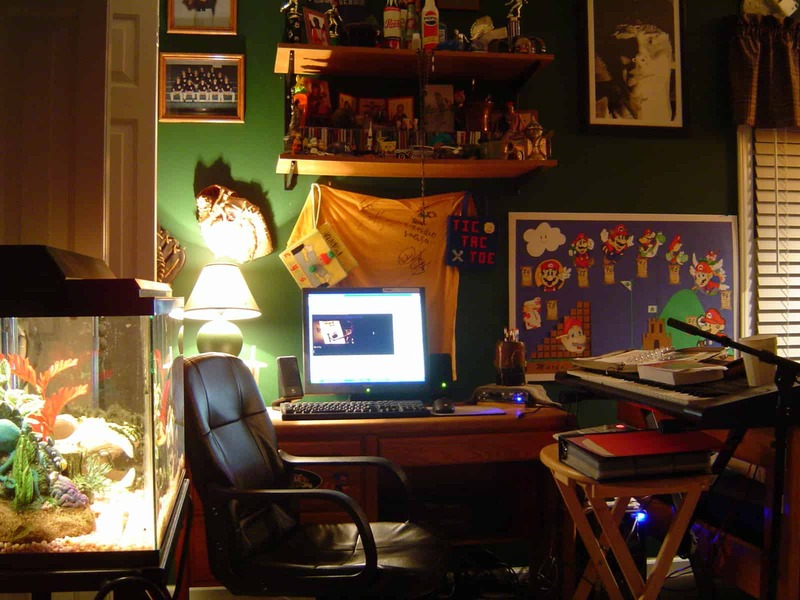 Building a home studio can seem like a daunting task. Whether you are a vocalist, a beatmaker, or any sort of musician, you have probably thought about what it would be like to have your own equipment. 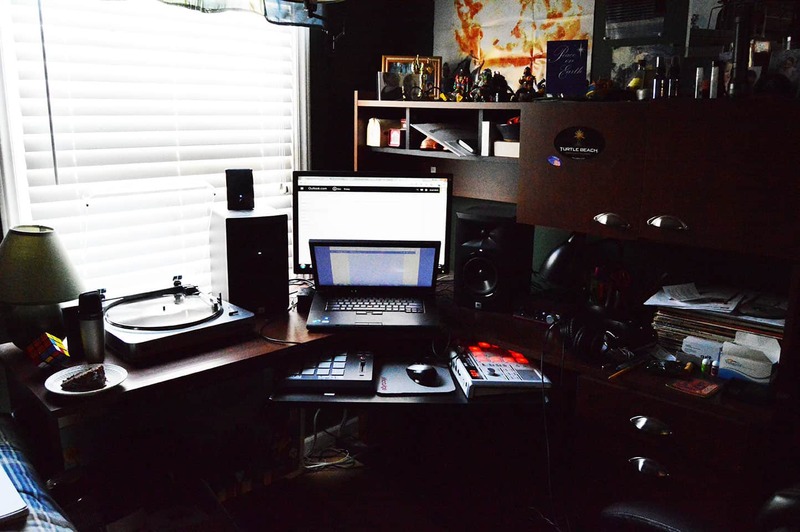 A studio to call your own.I too dreamed of having my own space filled with all of the musical things that make me tick. Over the years I have accumulated a lot of stuff. Some of it I still have, some of it I sold because either I upgraded, or didn’t need it anymore. The setup I have now suits me very well, and is meant to show beginners that you don’t need any fancy pants state of the art equipment. You can derive great sound from affordable products. 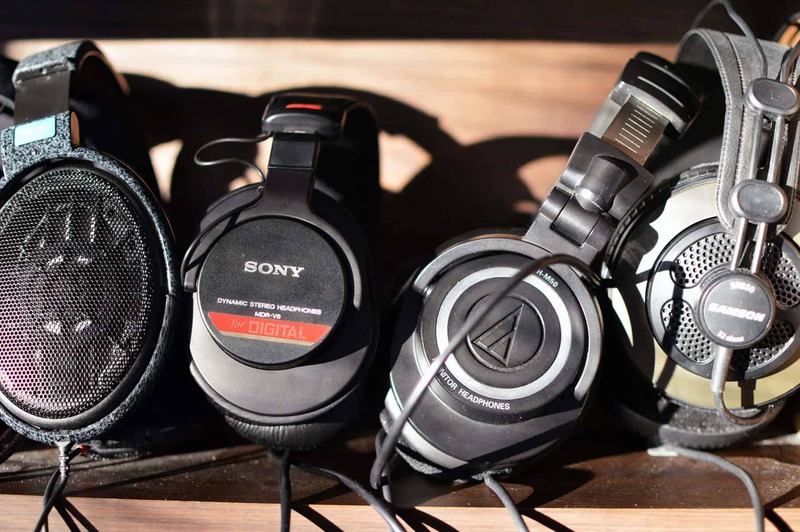 Below is my current headphone collection followed by the lab in different stages! 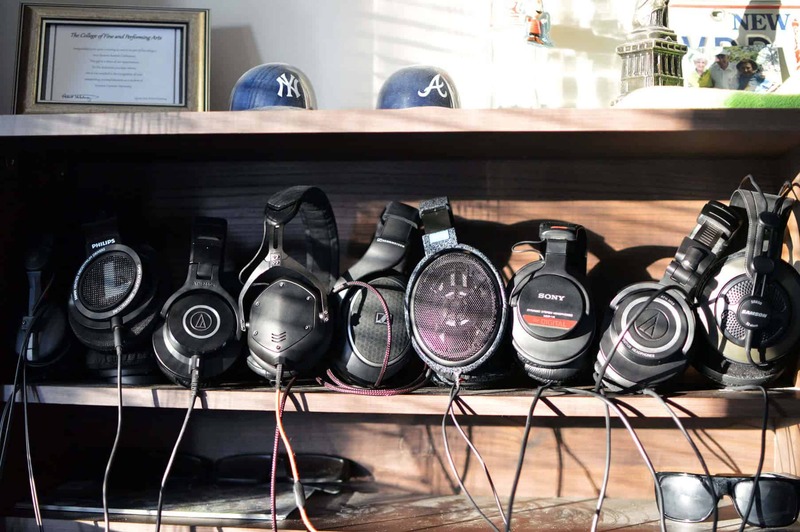 Pictured left to right: Sennheiser HD25, Philips SHP9500, Audio Technica ATH M40x, V-Moda Crossfade M100, Sennheiser HD 558, Sennheiser HD 600, Sony MDR V6, Audio Technica ATH M50, Samson SR850. Please leave me some love and subscribe to the channel. I would really appreciate your support! On stage stands MS7701B microphone stand. My old desk from when I was young. It was a great desk in it’s time. 24″ used Dell Monitor ($10 at the thrift store, lol). The following guide is designed to get you started in the right direction. 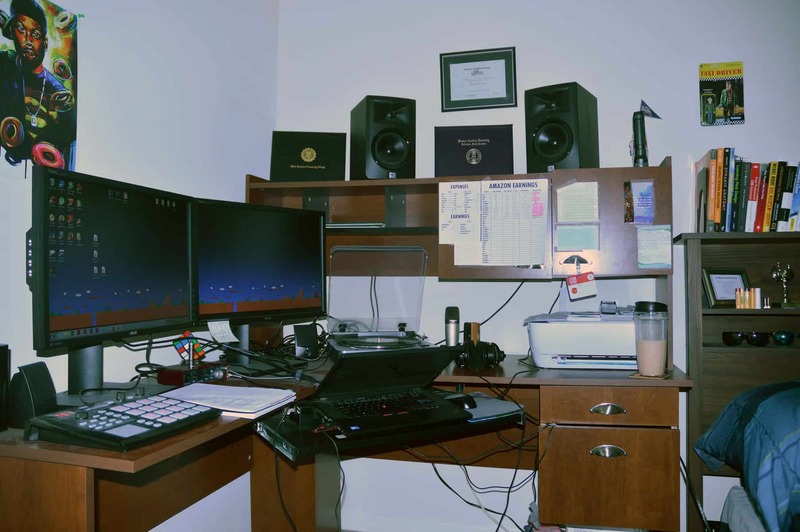 It is meant to be clear and organized, while giving suggestions about how to start a home studio (with what I know works). The last thing I wanted to happen when I began my journey was to get confused. Although I did on occasion, eventually I figured it out by doing endless amounts of research while in the process having about a gazillion browser tabs opened. I want you to avoid that! First things first. You’re going to want to choose a comfy place to record your sounds or craft your beats. I chose my bedroom, as it is the most convenient and comfy place I know of! Here I can escape the world and drown out all my troubles with music. The only place I wouldn’t recommend is a bathroom setup. That area is designated for other tasks and wouldn’t be ideal. Take it from me, there’s nothing worse than being uncomfortable in your studio space. I’ve experienced some of the worst seating in the business. 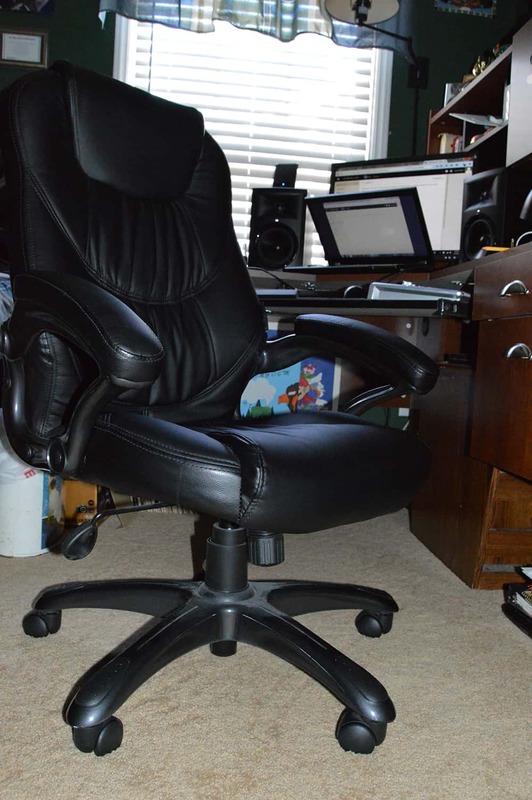 The feeling you get from sitting in a crappy chair for 6 hours is like sleeping on concrete. Next I would decide on a desk. An L shape is ideal because it provides ample room for gear and lots of space for other stuff as well. It also makes you feel like a mother f*cking executive! When i plop down to make a beat, I feel like a king. You should too. I can’t recommend my own desk since I got it so long ago, but you should definitely go with something that makes sense for your particular set up. Always keep in mind the type of room that you will be using. I have a desk with drawers, but if I didn’t, I would probably invest in some plastic storage containers. They are a great way to keep your miscellaneous wires organized, and can be had for cheap. In addition, you may want to add an over-the-door coat hook. I can’t even begin to tell you how much time was wasted in the past untangling chords and trying to figure out what’s what. Save yourself the trouble. First of all, your website really impressed me on the first glance. Awesome layout and feel to it. Certainly fits your niche. Second of all, very good article with even better internal links. Thanks Roman! I really appreciate the kind words. I will be updating it so keep checking back! Love the look of your site! I have to admit I know nothing about home studios but I wanted to set one up I know where to go. You have everything layed out nicely and easy to follow with so much excellent information. Thanks Nichole! yeah I’m actually in the midst of editing and adding to it as well. Keep checking back! I love the site. I love the graphics and short paragraphs. Thank you sir, don’t hesitate to reach out! Wonderful. Very clear and well explained each step. Thank you! If you have any questions contact me! Thanks so much for the kindness and love. I really want to show people that building a home studio isn’t as hard and daunting of a task as people make it out to be. I’m really glad you are enjoying the site. Please don’t hesitate to reach out again, or Contact me! I stumbled upon this website in an effort to find out which mic I should buy and was given so much more information about, well everything!! 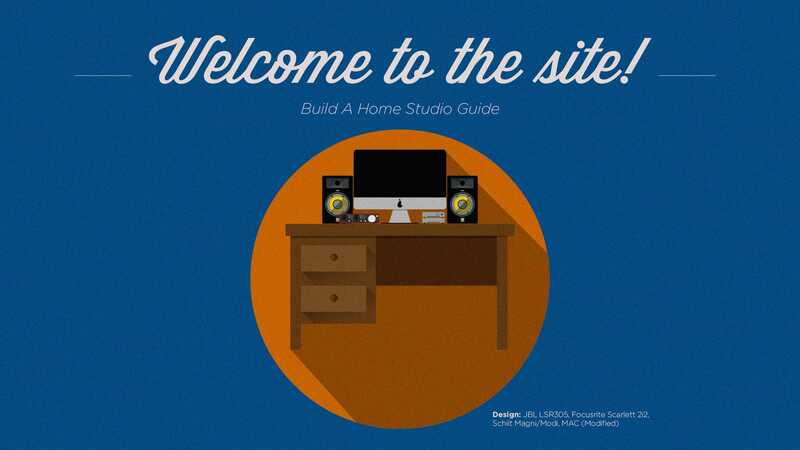 This is actually really helpful since I’m trying to start my at home studio. Please let me know if you need specific help with anything down the road or whenever! Yeah man the links are all to the right! I’m on Instagram more so than Twitter though. Definitely check me out on YouTube as well. Got a lot of good stuff coming. Thanks so much for stopping by..
Stu I really appreciate you writing all these unbiased reviews and articles so a newbie like myself can learn! They are all very clear and straightforward. May I know if you would also have recommendations on in-ear earphones that are more neutral/balanced/honest? I have tried the Westone UM Pro 10,20 and 30 and I really like them as I can hear everything but the bass is not heavy at all. 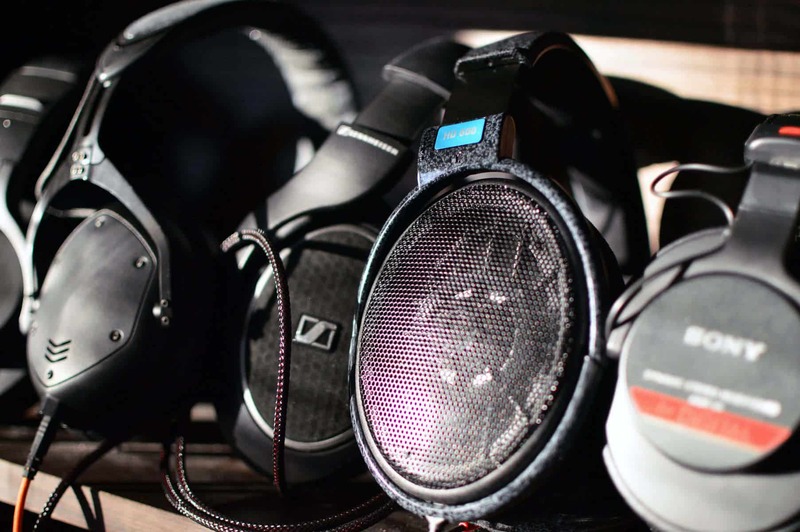 But I personally like the Sennheiser brand. Recently I also bought the Nexum Aqua+ wireless dac+amp. Thanks for your time and again, you got an awesome website, keep it up! Hey bud! Hmm I like the Shure SE215 have you heard that one? It’s incredibly clean, detailed, and crisp. I don’t have as much experience with IEM’s but I would take a look at the Etymotic ER-4S as well. That would be an example of something more balanced. Let me know if that helps! Hey Stu, I am relatively new to the audiophile world, and your site is one if not the best sources of info I have run across. I love your analytical approach, and matter of fact review and tutorials. Thank you very much. I do have some questions regarding headphone cables and would appreciate your input. I have the Senn HD 700, but for my uses I need a shorter cable with either the 2.5 TRRS balanced, or the standard 3.5 mm to use with the FiiO x5iii, and also through a DAC and my computer. The DAC uses a 1/4 connector. My first question is do higher quality cables, really make much of a difference as marketed through the other websites, or it basically just snake oil? Do the $30 ones on Amazon deliver the same sound as the $300 high end ones? What would recommend? Also what terminal ends would you recommend? I will need adapters to use the TRRS balanced (or is not really worth it?) and the 3.5mm connectors for my amp, and also the 1/4 plug. Also, I don’t understand the significance of balanced cables (4 connectors) when you have to use a 1/4″ adapter which only has 3 conductors. Wouldn’t it defeat the purpose of the separate ground wire, if they are just both terminated to a common ground through the adapter? So much to learn. Thank you in advance for your input..
1) I would just go with the cheaper cables to start. You’re not going to hear much of a difference. I’ve heard an Optical cable in the thousands and yeah it sounded fine, but there’s no real perceivable difference between it and a cheaper cable. Just my opinion. I would recommend just getting a cheaper cable. 2) I like 1/4″ but it’s just preference. It doesn’t really matter, and mostly depends on what I have in front of me. If the amp requires a 1/4″ plug I just use an adapter. So for you if I’m understanding correctly, just use a 1/4″ to 3.5mm for the X5. 3) Not too sure what scenario exactly you’re referring to in your question. I use TRS to XLR in my Studio Monitor set up and the balanced cables cancel out any noise from reversing the polarity. That’s really the only experience I have with it.